I have been wanting to play along with this colour challenge ALL week. Sometimes however I do actually need to do some other work first! I love the Pals Paper Arts challenge and this week is no exception. 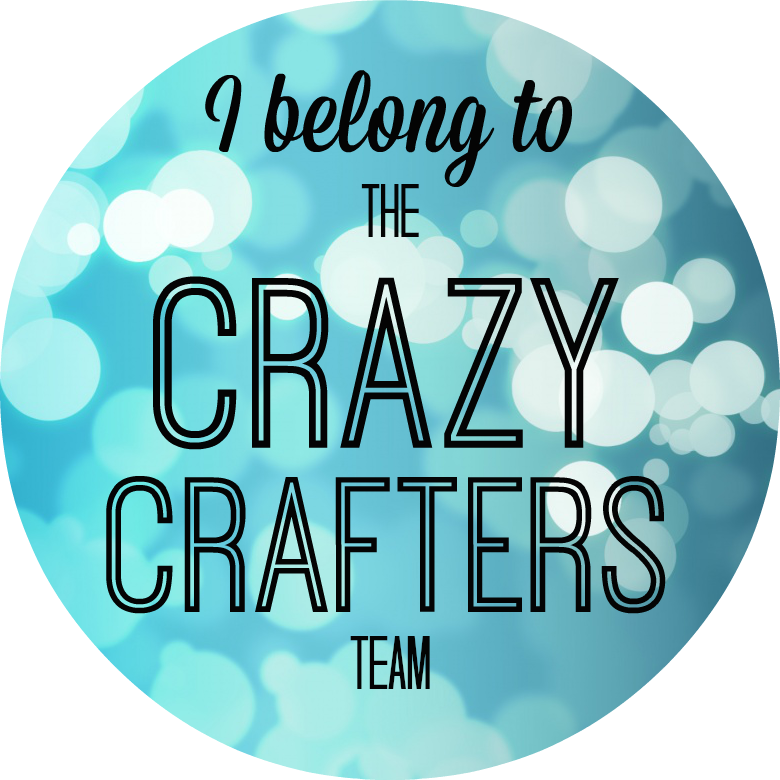 If you haven't been over to that Challenge blog you must do yourself a favour and go and check it out and even play along! Click here to head over there. When I saw the colours I felt fresh and almost a beach feel - for those that live in Australia. It reminded me of the colours that the hotel rooms on the Gold Coast would be in the 70s but with a modern twist. Great colour choices Katy. 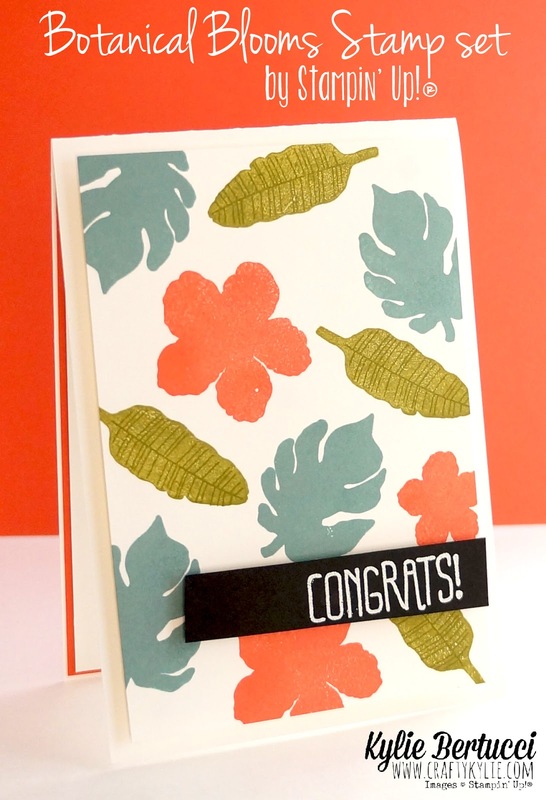 How fresh and fun is that card?? it came together so fast - I think because I was so inspired by the colours. Plus I have made something very similar in the past - so it's always good to go back and CASE yourself. (copy and selectively Edit) This is the similar card that I made using just black and white with this stunning Botanical Blooms stamp set. Click Here to see it. Do you recognise the sentiment? Maybe not?? It is from the Sparkle and Shine Stamp set from the Occasions catalogue. 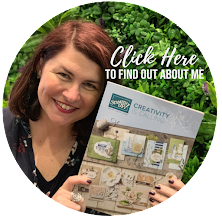 It is such a fantastic stamp set - and if you haven't got it yet.... You need to! Page 31 of the Occasions Catalogue. 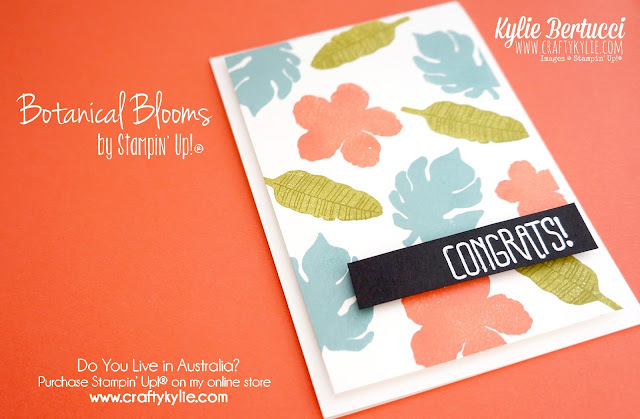 So if you live in Australia it might be a great time right now to go for a shop in my Stampin' Up! Online store. You can search for these items in the store. If you use my current Host code 3KVTDRRK you will receive AMAZING rewards at the end of the month. 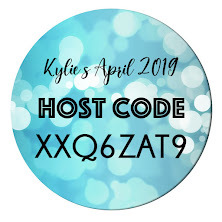 Click below to shop or find out more about my Host Code Club you can be a part of. Kylie this is so fresh and clean. I have inspired me to take a different approach to this bundle. Beautiful result. Thanks for playing with the Pals this week. What a beautiful background! Great card, Kylie! Hi, Kylie! 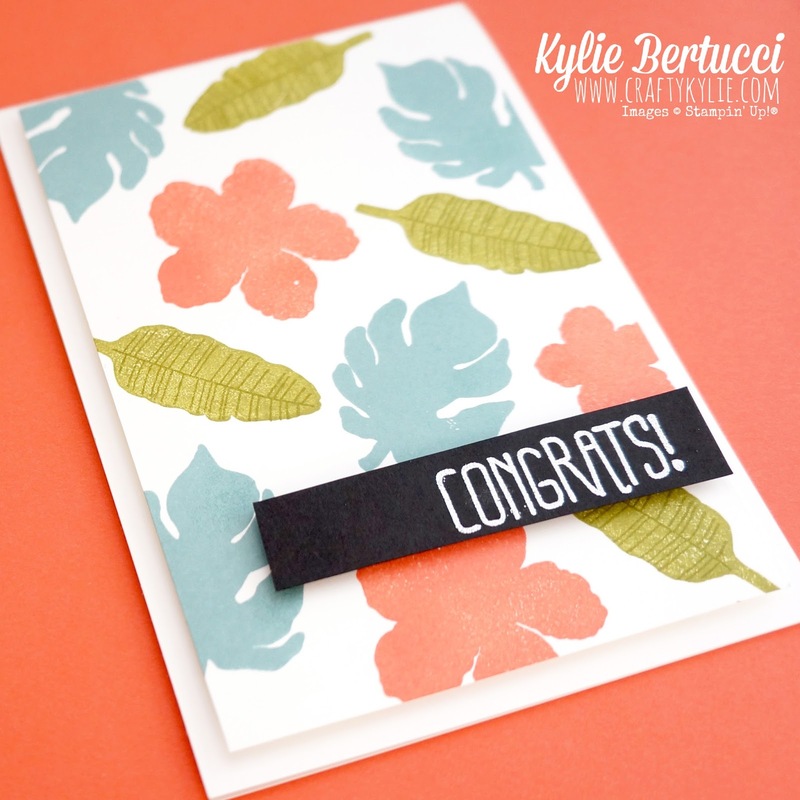 Thanks so much for playing along with my color combination in this week's PPA challenge. It is CAS perfection... so fresh and colorful. I liked your original card also with its bold sophisticated look. And I adore your definition of CASE. We always look forward to your entries in the PPA challenges... hope to see you there next week!! 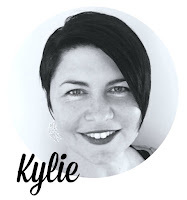 This is fun and fabulous, Kylie! I love the pop of black! This is the perfect set for this color challenge, Kylie! I adore your clean and simple style. 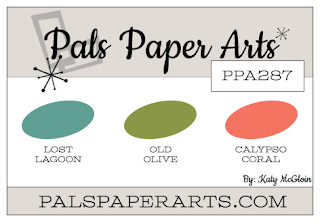 Thank you so much for playing along with this week's Pals Paper Arts Color Challenge. Way to go!! Random stamping at its best ... and you're right ... the colors are really inspiring! Beautiful Kylie! I love how the colors play out on this. And I love that you stamped, most are just using the dies. Very cool. Thanks so much for playing with us this week at PPA.